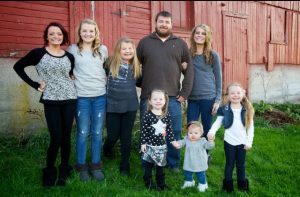 My name is Chris Adams, and I am the owner of Narrow Path Plumbing, a family owned and operated business located in Xenia, Ohio. I have over 20 years of experience in the plumbing field, so starting my own business in 2011 was a natural choice. I am a certified plumber and a backflow specialist. I am very passionate about customer satisfaction and delivering quality work. Our number one priority as a plumbing company is our customer’s satisfaction. We believe in leaving the work area spotless so you will never know we were there. You can count on our expertise to do the right repair the first time. We strive to give our customer’s quality, affordable work no matter how big or small the job. We handle all the standard plumbing maintenance including drain cleaning, water heaters, and repiping. In addition to plumbing maintenance, Narrow Path Plumbing also specializes in new construction, bathroom renovation and now installs Bliss Walk In Tubs. Whether you need emergency plumbing service, are replacing existing equipment or converting to a new system, we will work with you to provide what you need for your home or business. We are licensed, bonded, and insured in Ohio and take pride in our work and take responsibility for the satisfaction of our customers. Narrow Path Plumbing is proud to offer a full range of repairs for all your plumbing needs. If you reside in Dayton, Cincinnati, or anywhere in between, we offer prompt and dependable plumbing services. Call us today at (937) 623-2619 to request a free quote or to schedule an appointment. Fun fact: The Narrow Path Plumbing company name was inspired from the Bible, Matthew 7:13-14.